Inhalants are breathable chemical vapors that produce psychoactive (mind-altering) effects. Younger children and teens tend to abuse inhalants in part because they are readily available and inexpensive. Although unintentional inhalation of household products can occur, inhalant abuse, or huffing, is an intentional act. Each classification of inhalant has its own slang or street names according to the NIDA, including "laughing gas" (nitrous oxide), "snappers" (amyl nitrite), "poppers" (amyl nitrite and butyl nitrite), "whippets" (nitrous oxide, found in whipped cream dispensers), "bold" (nitrites), and "rush" (nitrites). Volatile Solvents: Volatile solvents are industrial, household, art or office supply solvents or solvent-containing products. They include paint thinners or removers, degreasers, dry-cleaning fluids, gasoline, correction fluids, felt-tip marker fluid, and electronic contact cleaners. 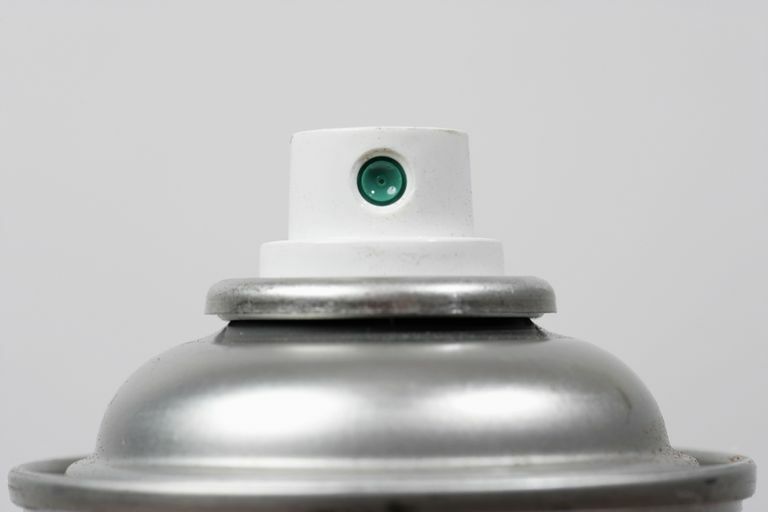 Aerosols: Aerosols are household aerosol propellants and associated solvents in items such as spray paints, hair or deodorant sprays, fabric protector sprays, aerosol computer cleaning products, and vegetable oil sprays. Gases: These are gases used in household or commercial products, including butane lighters and propane tanks, whipping cream aerosols or dispensers (whippets), and refrigerant gases, medical anesthetic gases, such as ether, chloroform, halothane, and nitrous oxide (laughing gas). Nitrites: Organic nitrites are volatiles that include cyclohexyl, butyl, and amyl nitrites, commonly known as "poppers." Amyl nitrite is still used in some medical procedures. Volatile nitrites are often sold in small brown bottles labeled as "video head cleaner," "room odorizer," "leather cleaner" or "liquid aroma." Inhalants are sniffed directly from the container, 'huffed' from a cloth saturated with the substance and held close to the face, 'bagged' which is sniffing from a bag with the saturated cloth inside it or put on hands, fingernails or clothing enabling the user to inhale the fumes in public without being detected. Young people may use inhalants as a substitute for alcohol. Because of its addictive nature, many go on to use it as they grow older. The first substance that many children experiment with are inhalants because they are cheap and available - usually found around the house in the kitchen, laundry room or garage. With most drugs, the rate of use goes up in higher age groups. Inhalants are the only substances that are used more by younger adolescents than older teens. Older adults who use inhalants are generally chronic abusers. Research suggests that chronic or long-term inhalant abusers are among the most difficult drug abuse patients to treat. Most inhalants produce a rapid high that resembles alcohol intoxication. If sufficient amounts are inhaled, nearly all solvents and gases produce anesthesia, a loss of sensation, and even unconsciousness. There are also other dangerous effects. Sudden Sniffing Death can result from a single session of inhalant, even in healthy individuals. This is often associated with the abuse of butane, propane, and chemicals in aerosols. High concentrations of inhalants also can cause death from suffocation by displacing oxygen in the lungs and then in the central nervous system so that breathing ceases. Deliberately inhaling from a paper or plastic bag or in a closed area greatly increases the chances of suffocation. Yes. Heavy users can become addicted to inhalants may suffer cognitive impairment or other neurological dysfunctions which make quitting difficult. Users develop a tolerance for inhalants over time which means it takes more to experience the 'high' that they used to get from smaller amounts. Casual users face the same dangers from using inhalants as heavy users. A British study of 1,000 deaths from inhalant use found that 200 of the deaths were to first-time users.